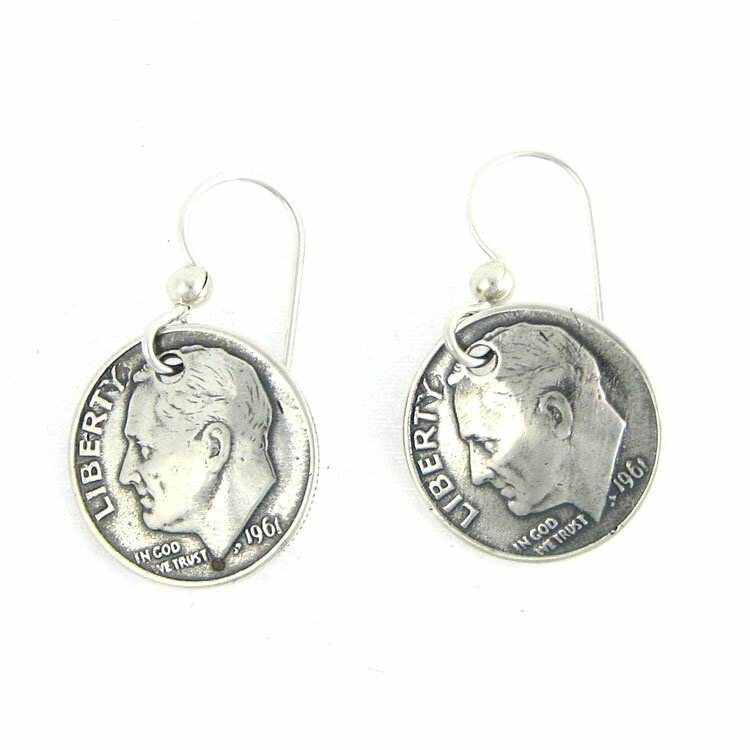 Mark this special birthday with these beautiful limited edition earrings, each one made in solid silver from an original 1961, 1959, or 1958 Roosevelt dime. The coin is slightly domed to highlight the engravings: the inside reads "United States of America. One Dime." while the outside shows Franklin Delano Roosevelt in profile and reads "Liberty. In God We Trust. 1961, 1959, or 1958."